I love summer! I love that you can just chop up fresh ingredients and call it a meal. Have this salad with some grilled chicken and maybe some watermelon and you're good to go. You'll look super fancy and you'll still have time to read a book or something after you make dinner! It's so fast to make and you can change it to fit your tastes/needs. 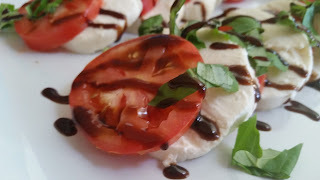 You can make your own balsamic drizzle like I have below or make this recipe even easier by buying some pre-made at the store. I've found it in the oils and vinegars section. You can marinate the tomatoes in balsamic vinegar for an extra punch or add a little ground pepper at the end. Enjoy! Combine all drizzle ingredients in a large saucepan and bring to a boil. Reduce heat to med low and allow to thicken. When sauce is reduced to desired thickness remove from heat and allow to cool. 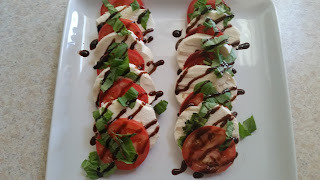 Meanwhile, slice mozzarella and roma tomatoes into 1/4 in. 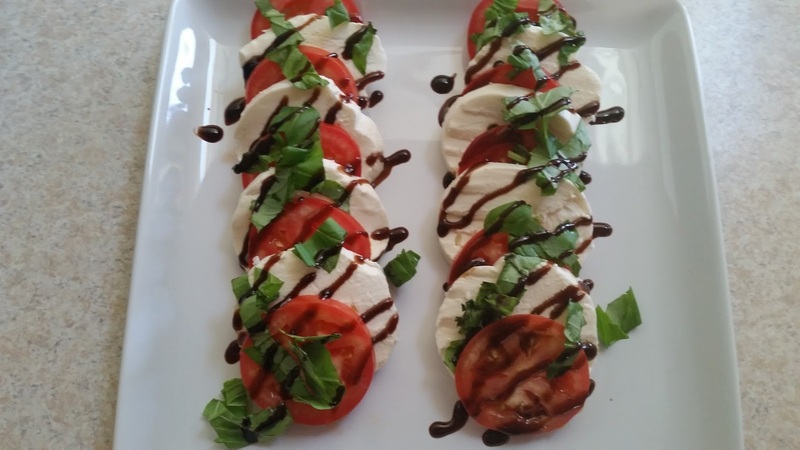 thick slices and arrange on plate alternating between cheese and tomato. Sprinkle chopped basil on top. Drizzle cooled balsamic glaze over salad. Top with salt and pepper if desired. 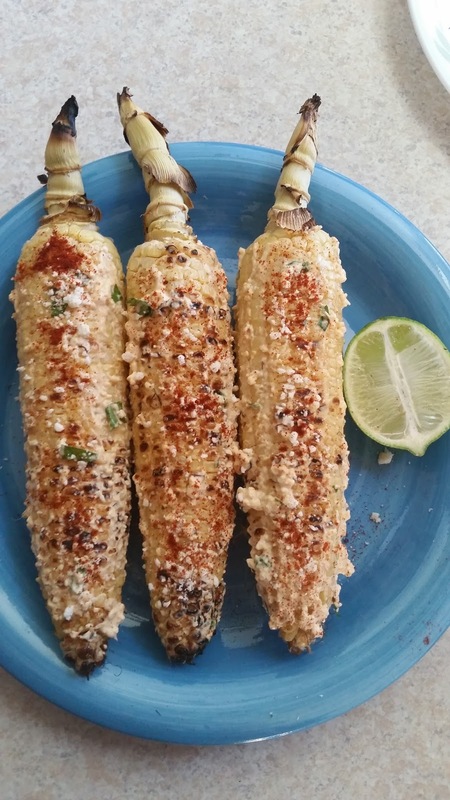 So I've never actually had Mexican street corn before but it's all over pinterest these day and so I decided to give it a whirl. I've seen tons of different recipes for mexican street corn salad, steak, kabobs, etc. etc. etc. So I decided to just try a straight up corn on the cob recipe and boy did it pay off. 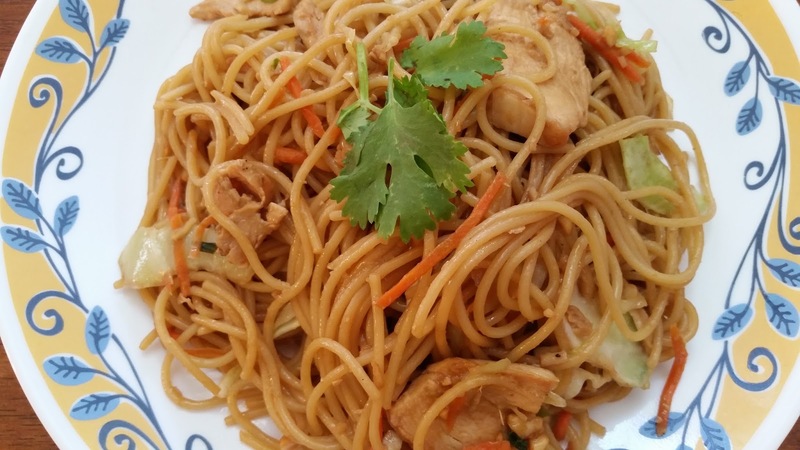 Not only is it delicious it looks fantastic in pictures! No wonder the internet is obsessed. 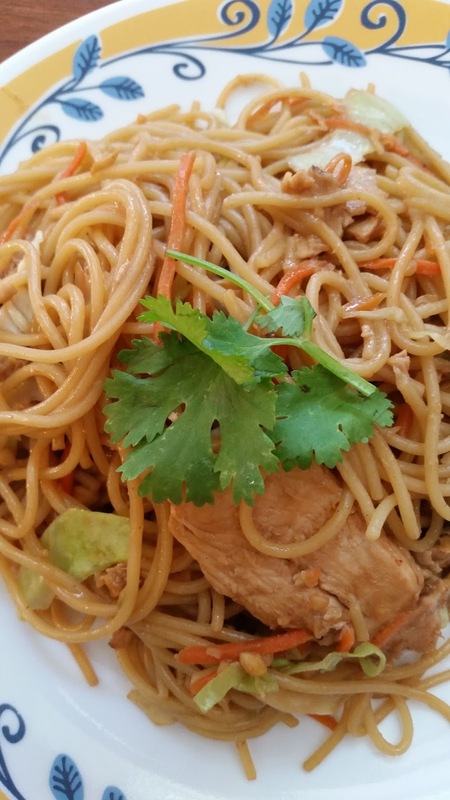 It's a food bloggers favorite kind of recipe! For as much as it was all over the internet, no two recipes were alike so I just borrowed what I like from each of them and made my own up. 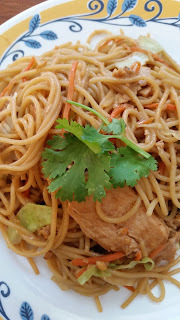 I liked that a lot of the spice comes from topping it with chile powder at the end so my kids were able to adjust the heat to their own preferences. And it was a nice change from just drowning the corn in butter. Test it out for yourself! 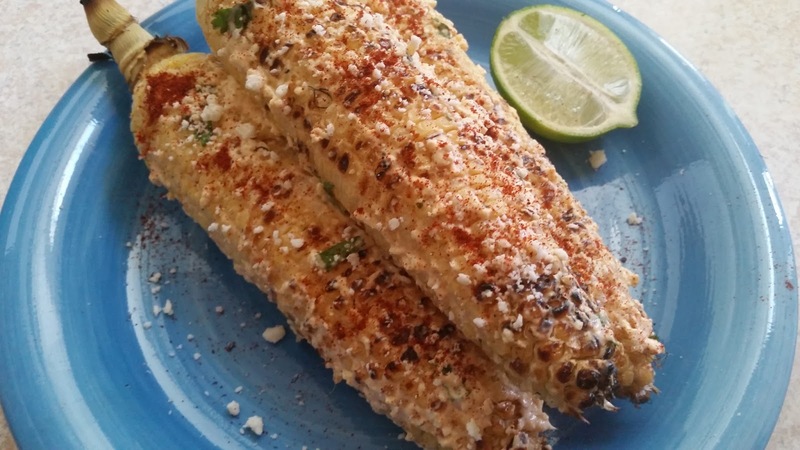 After removing husks from corn, place corn on a preheated grill and cook for about 8 min. over medium heat. Then flip and cook another 9 minutes or until corn is soft but not dried out. It's okay if some of the corn chars up a bit. Meanwhile, combine all remaining ingredients in a small bowl and set aside. When corn is done- remove from grill and brush each piece all over with sour cream/cheese mixture. Sprinkle with extra cotija cheese and chili powder. Eat warm! I love cooking in the summer! You can pretty much just buy meat, veggies and fruit and you've got yourself a summer meal! Plus I love that my husband likes to grill so I get to cook with him for a few months each year. This was our first week in a while where I didn't have a million things going on at night so I finally planned out a whole weeks menu and have stuck to it (for the most part- nobody's perfect!). 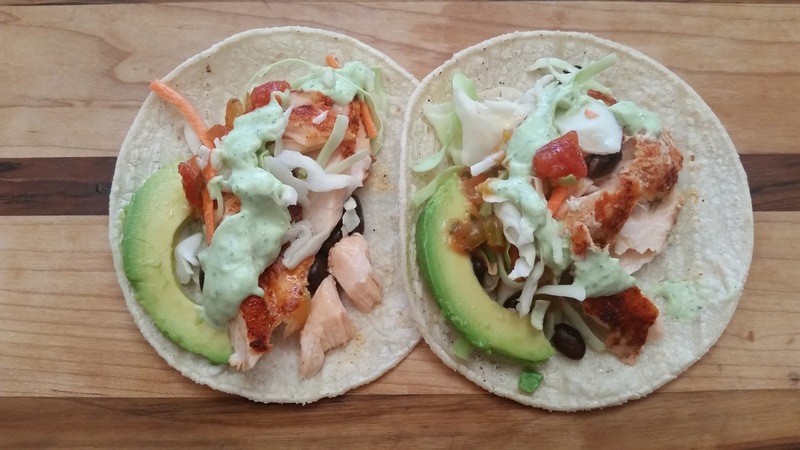 We started off with some salmon tacos. 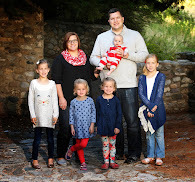 My girls and I love salmon but the boys are not that big of fans. 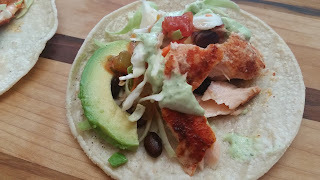 The taco is the only way my husband will eat salmon on account of it has so many others toppings he can drown out the salmon taste. I love to pile it high in salmon and garnish it with the other toppings. 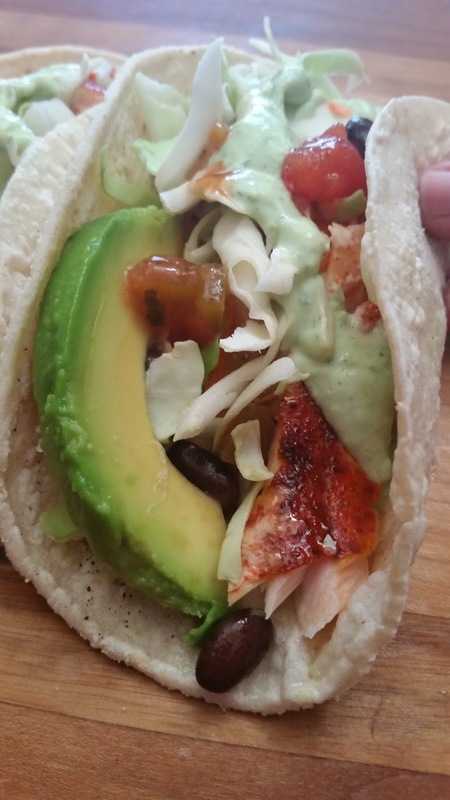 So whether you love salmon or loathe it this recipe might by for you! 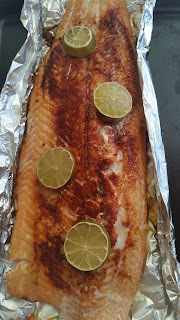 For salmon- place skin side down on a large sheet of heavy duty foil. Combine spices and rub on top of salmon evenly. Place lime slices down the top of the salmon. Wrap foil up and over any thinner parts of the salmon. Place on preheated grill and cook over medium heat for about 45 min. Open foil about 15 minutes before you are ready to remove it from the grill. Salmon is done when pink and flaky. 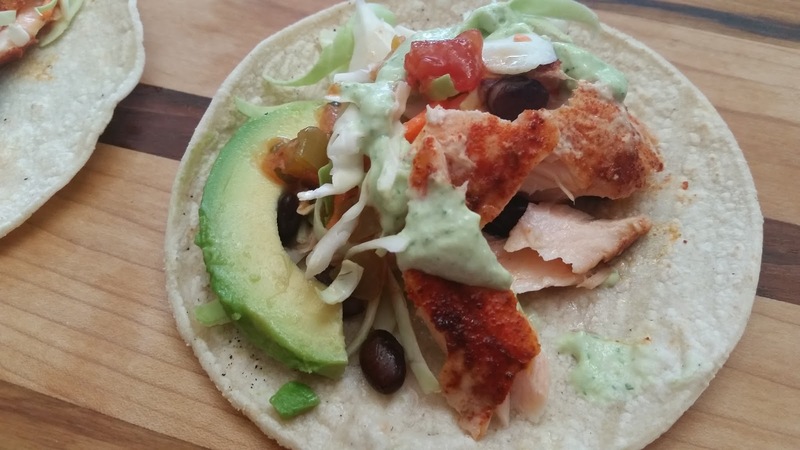 While salmon is cooking prepare your other toppings including the cilantro yogurt sauce. For the sauce combine all sauce ingredients in a blender until smooth. Keep chilled until ready to serve. To assemble taco- place salmon on a corn tortilla and top with yogurt sauce and whichever toppings you prefer. Enjoy!